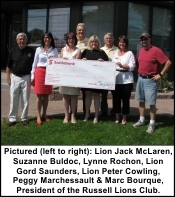 The Russell Lions Club were on the receiving end of a double benefit arising out of Scotiabank's sense of community Spirit! Not only did the bank provide the Lions with a $4,000 donation towards its annual Lobsterfeast but the evening was also supported by (left to right) Suzanne Buldoc, Lynne Rochon, Peggy Marchessault and Carolyn Carter who along with presenting the cheque also donated their time to be of support group for the event. Receiving the cheque on behalf of the Lions were (from left to right) Lions Jack McLaren (Lobsterfeast Ticket Sales Manager, Gord Saunders (Lobterfeast Chairman), Peter Cowling (Russell Lions Treasurer) and Marc Bourque, President of the Russell Lions Club). 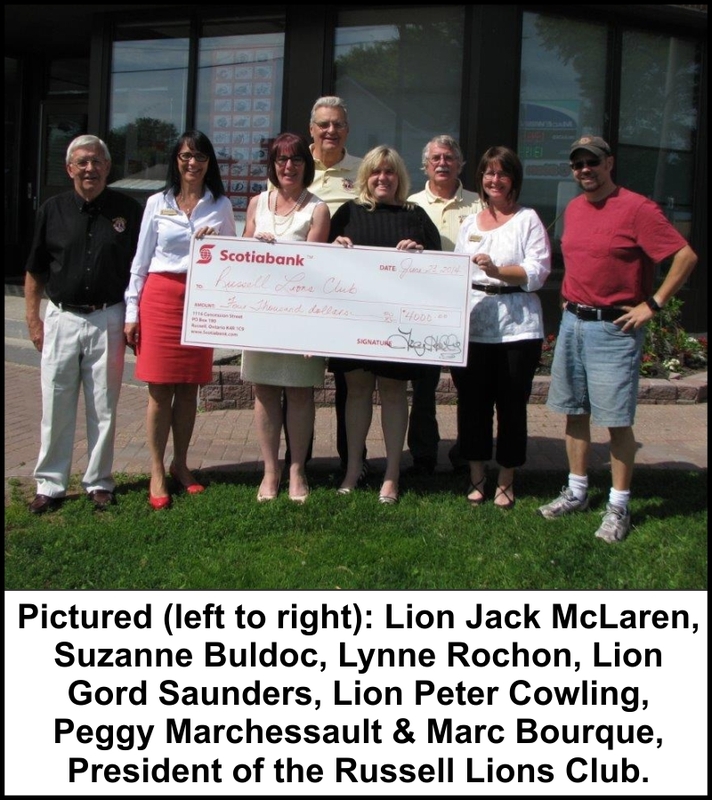 The Russell Lions Club sincerely thanks Scotiabank and the ladies for their support.